In nine years of running the Double Wing and I Wing offense, our teams have had nine straight playoff appearances, seven league championships and three CIF State Championships. 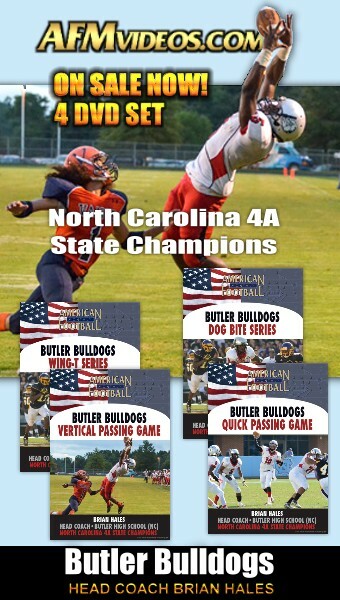 We�ve also had three state rushing titles and seven times been over 4,000 yards rushing. Our Power series can be easily incorporated into your offense. You can also run these plays from various formations but the one�s described below are the most conducive for the series. This is play one out of the five play series that we run at Clovis East High School. Since we see a lot of 5-2 Cover 2, I am going to draw up each play against this front. The right wing blocks the play side backer. The	...The full article can only be seen by subscribers.